Not only elegantly curved profile, choose your Krome from three different colors and make a strong impression on the audience! 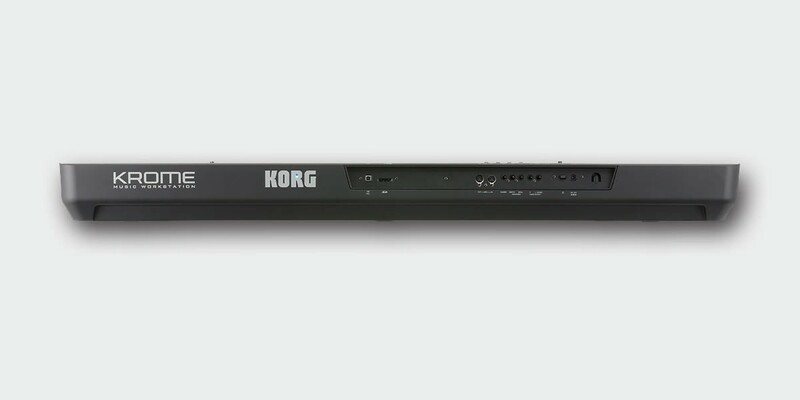 To celebrate Korg’s 50th anniversary, a limited edition of eye-catching Red, Blue and Gold 61-key KROME Music Workstations will be available. A carefully chosen selection of the top sounds. — available such as piano, electric piano, drum. Piano sounds are critically important for nearly every keyboard instrument. 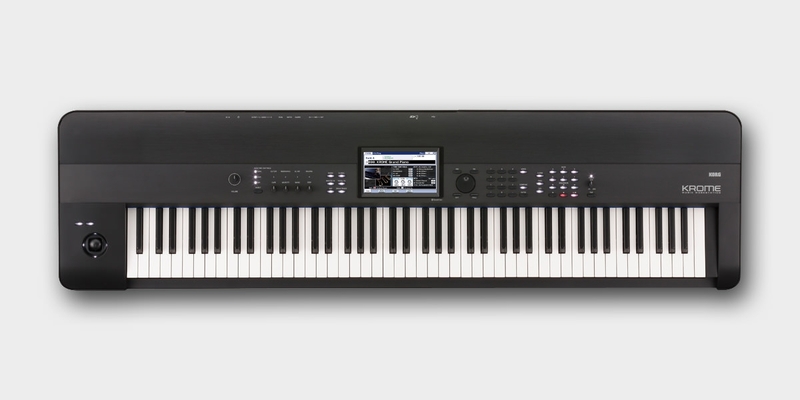 KROME borrows the impressive “German D Grand” that was created for the KRONOS flagship. In addition to the rich sound of 88 full-length unlooped stereo samples, damper resonance is also included. In fact, the PCM memory used for just this “German D Grand” alone occupies several times – even several tens of times – more memory capacity than the entire PCM memory used in a typical workstation or PCM synthesizer. Unless the original sound is impeccable, no amount of parameter editing can create an enjoyable playing experience. 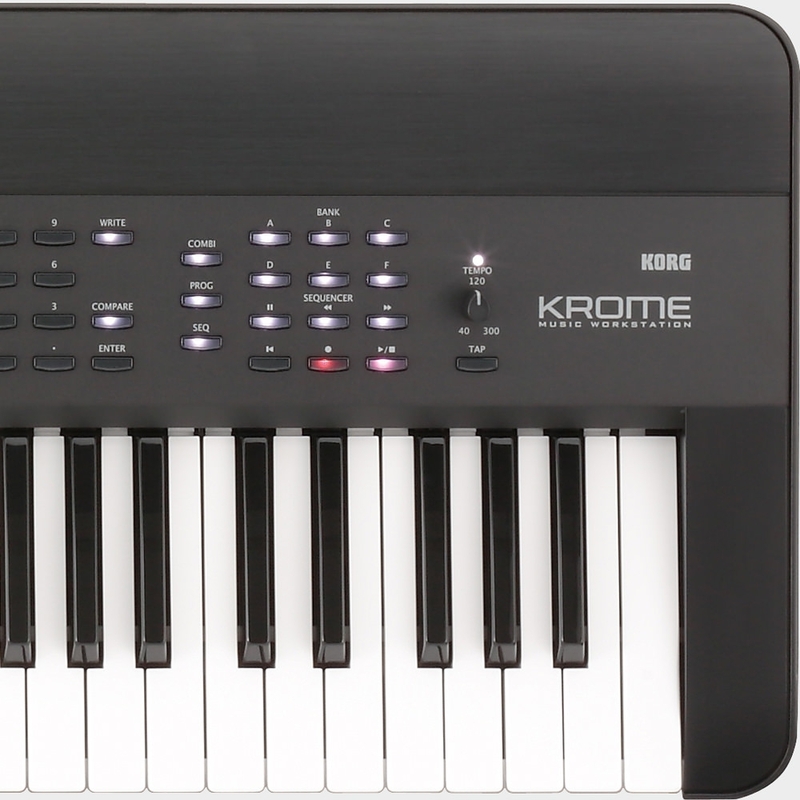 The KROME’s piano is an example of Korg’s passion for every musician to enjoy great sounds played on great instruments. 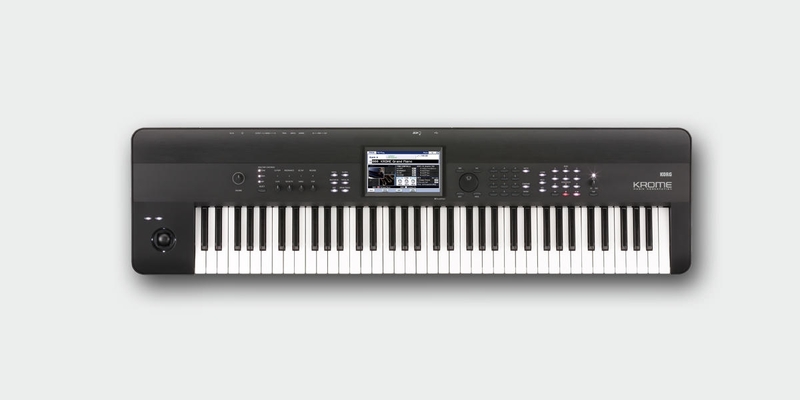 This resonant, authentic, and realistic piano represents a major increase in quality for this class of keyboard. 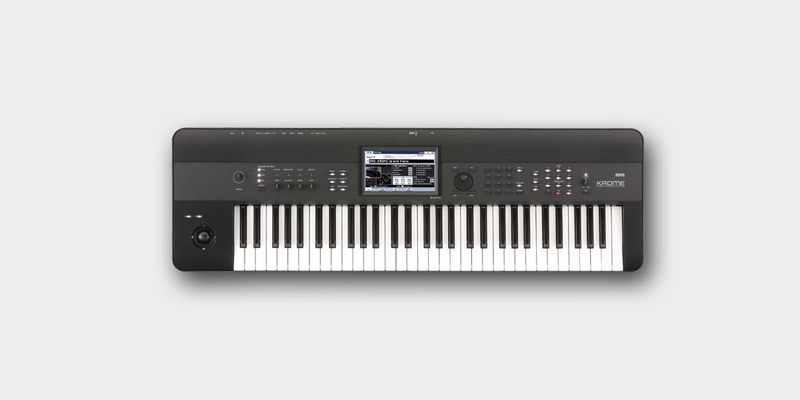 For many keyboardists, the electric piano sound is just as critical as the acoustic piano sound. 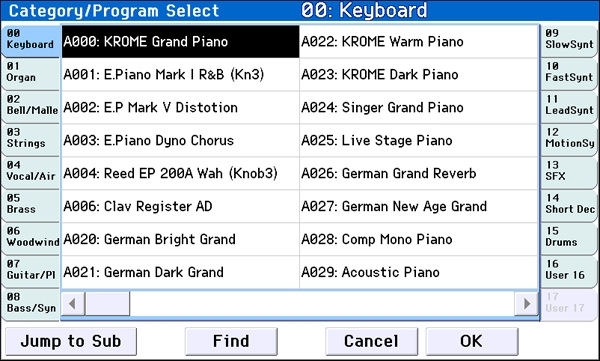 KROME features three types of electric pianos. Eight velocity levels have been used to ensure faithful response to the player’s expression. 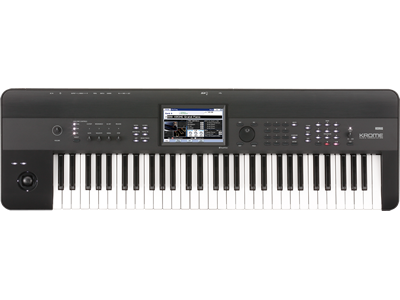 Lavish amounts of PCM memory have been used for this purpose, to the extent that just one of these electric piano types contains more sample data than the entire sound memory of a typical PCM synthesizer. In addition, the vintage amps, cabinets, and classic effects so important to these timeless sounds have been realistically modeled, ensuring that everything from the touch to the final sound will be utterly enjoyable. The built-in drum kits play a major role in song production on any music workstation. 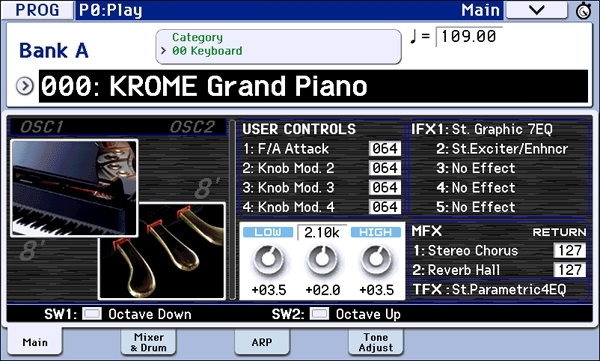 KROME contains the same “Jazz Ambience Drums” that can be found on the Korg KRONOS. Taking advantage of the high-capacity PCM memory, these sounds capture a dramatically high level of response and realism.